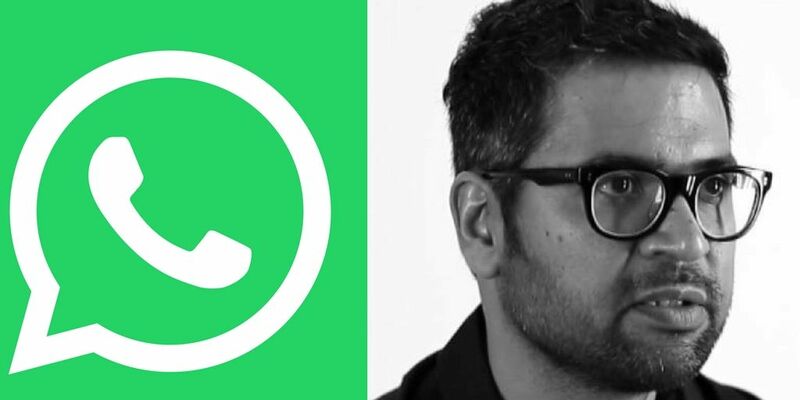 Can Neeraj Arora replace Jan Koum to become the next CEO of WhatsApp? Founder of WhatsApp Jan Koum has recently resigned from the company after the recent arguments with the parent company Facebook and topic of conversation was Data Privacy and Business Model according to a report from the Washington Post. Jan Koum with his co-founder Brian Acton sold his popular messaging Application WhatsApp to Facebook for a sum of $19 Billion. Brian already left the company in September and Koum recently confirmed that he too wants to resign and looking to explore something else that is not related to technology. Now the question is who is going to be the next CEO of WhatsApp? A Business Guy Neeraj Arora is all set to play a role of next CEO for WhatsApp. He is an IIT graduate from Delhi and working with WhatsApp since last 6 years. He also worked with Google for four years and other large IT companies. If Neeraj is promoted to CEO position then he will be joining the team of Indian CEO’s including Microsoft CEO Satya Nadella and Google CEO Sundar Pichai. According to Bloomberg, Jan is leaving his stock award fully vests which means that if he exists then he may lose around $1billion.Koum has sold over $7 billion in Facebook stock. After doing IIIT from Delhi he did MBA in Finance and Strategy in 2006 and started working with Times Internet Limited (TIL). He worked there for around 18 months and also served as a board member of Paytm. Can Neeraj Arora join the list of Indian CEO’s? While Arora is working with the company past 6 years as a Business head in San Francisco Area so he is a strong candidate to win the title of WhatsApp CEO but it’s not confirmed yet. 42 years old Jan has done amazing things with his team and produces an app that is used and loved by millions of people around the world. Let’s see who is the next CEO of WhatsApp.